At the midnight launch of Gears of War 2, I decided to go ahead and pre-order the zombie action game Left 4 Dead to get early access to the Left 4 Dead demo, but that obviously wasn't the only reason I pre-ordered the game. I knew the game would be good, but didn't know how good it would be but knew it would be good nonetheless because it's being developed by Valve Software. So a few days later, I finally received an e-mail from GameStop with the early access code that would allow me to play the demo early before the demo officially becomes available on Nov. 11(this Tuesday). I went ahead and booted up my Xbox 360, entered the 25 digit code and started downloading the demo(over 1gb). While I waited I played some Gears of War 2 and eventually the download was done. As soon as I loaded the demo, the recently released over 4 minute intro trailer of Left 4 Dead started playing(awesome in HD!). After this, I finally was able to start playing the singleplayer campaign(no one was online playing at the time). There's two levels in the demo to choose from. Each one is pretty damn long, around 20 minutes each, so a total of 40 minutes worth which is pretty long for a demo. Left 4 Dead is unlike any other zombie game I've ever played before. 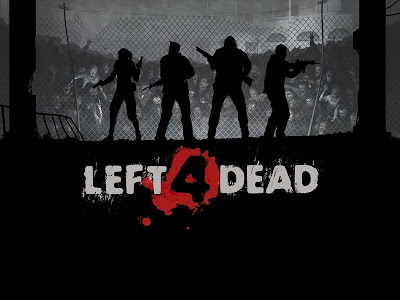 If you think L4D is similar to Dead Rising, think again, because you'd be dead wrong. The zombies in L4D are extremely fast, they don't walk slow; they're out for blood and BRAAAAAAAAAAAINS after all! The gameplay is awesome and with three other people you rely on, it makes things really interesting. If you get attacked by a zombie, they come and help. If you're down but not out, they revive you then immediately start healing you. There's a creature in the demo called a "Boomer". If you get too close, the creature throws up on you which basically has a scent that attracts lots and lots of zombies so definitely kill the Boomers at a distance. Another thing that can attract zombies is setting off car alarms or anything that makes loud noises. I think Valve definitely has another winner on their hands. Look for Left 4 Dead on store shelves Nov. 18, 2008, and if you haven't pre-ordered it yet or not sure if you should, definitely reconsider after you've played the demo, cause hell, I did.